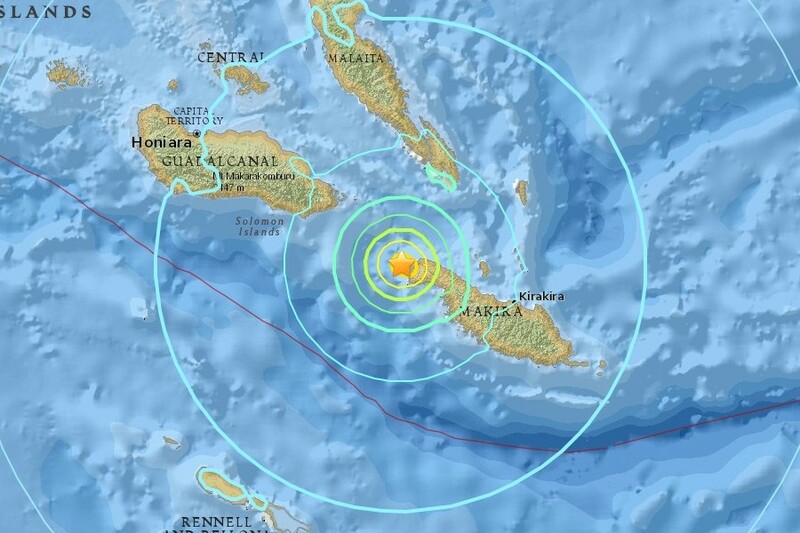 injuries in the epicentral area, nor was a tsunami warning issued for the region. of the Kamchatka Peninsula, until terminating at its intersection with the Aleutian arc south of the Commander Islands, Russia. is moving northwest at a rate that increases from 79 mm/yr near the northern end of the arc to 83 mm/yr adjacent to Hokkaido. 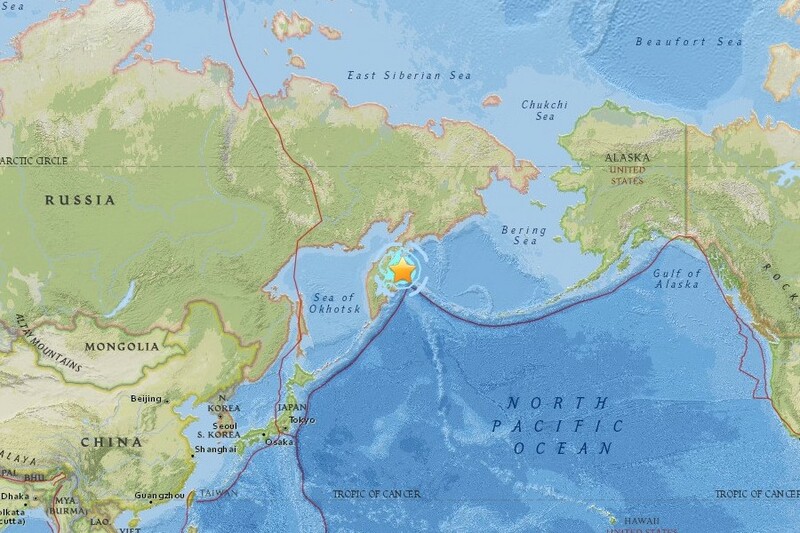 the initial observable arrival of the slower surface waves began about 38 minutes after the quake had occurred in eastern Russia. seen at the EarthAlabama seismic station. 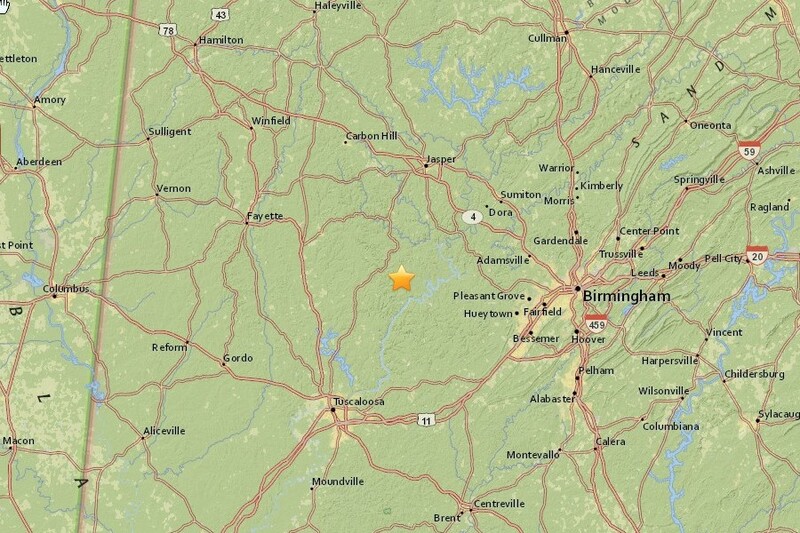 in northern Alabama, approximately 109 mi (175 km) from Heflin, Alabama. 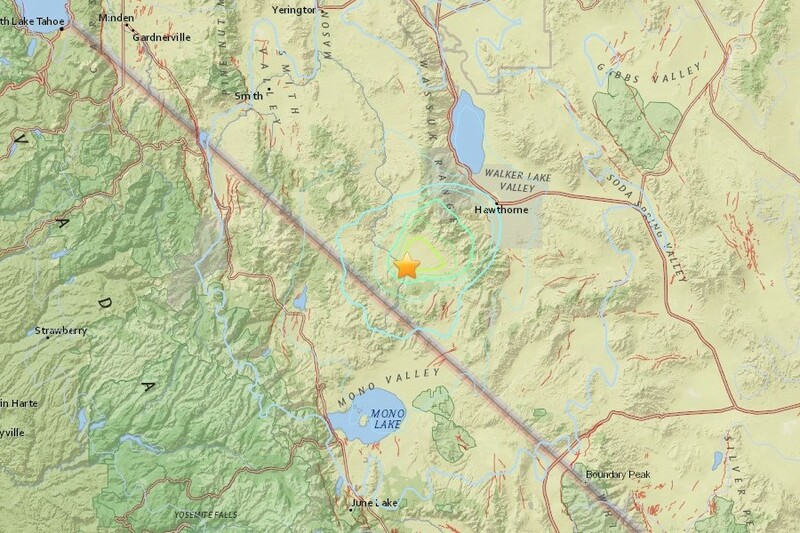 The quake had a focal depth of 3.3 mi (5.3 km). follows the Appalachian Mountains from southwestern Virginia into the northeastern corner and central part of Alabama. area is laced with many ancient faults that developed as the Appalachian Mountains formed several hundred million years ago. faults remain undetected, and these all have an ongoing potential for randomly located small-to-moderate earthquakes. 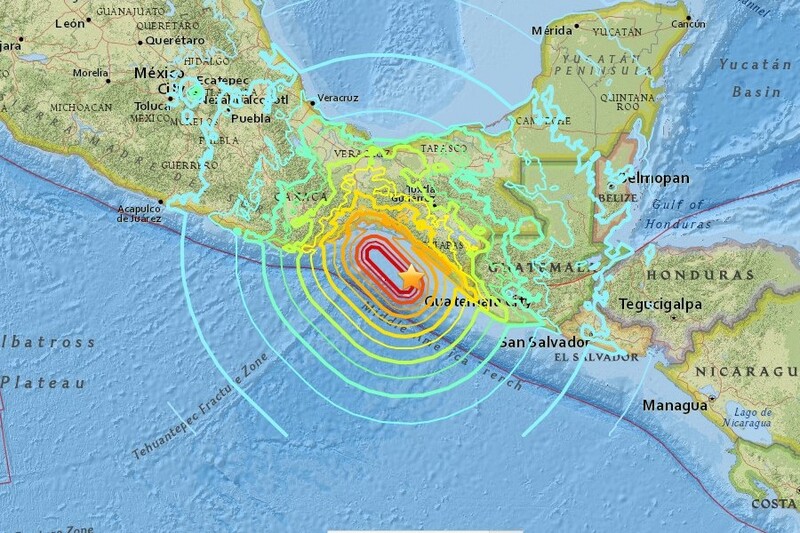 29 seconds after the quake occurred, and slower S-type body waves were seen at +50 seconds following the quake. 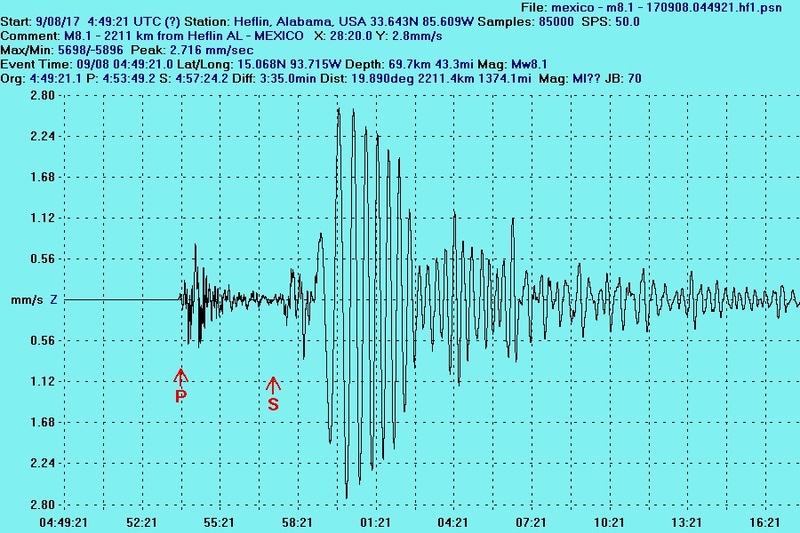 No observable surface (L-type) waves from the event were seen at the Heflin seismic station. 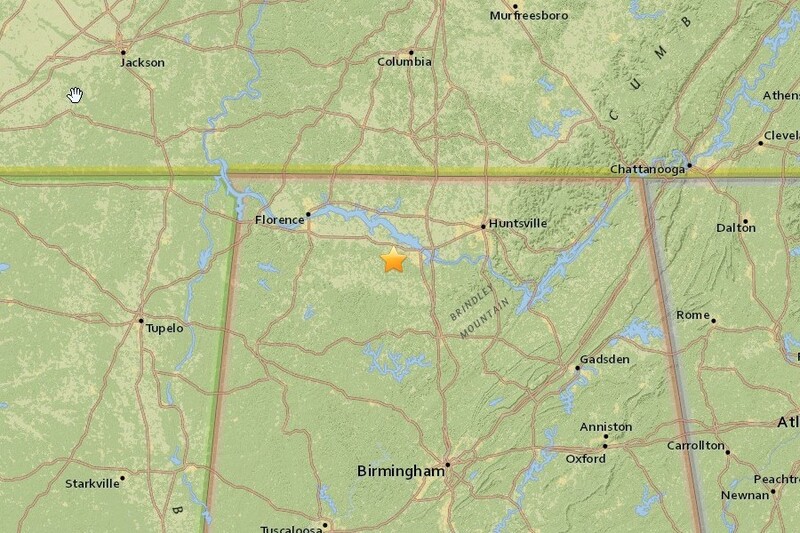 11:23:58 CST) in west-central Alabama, with epicenter approximately 101 mi (163 km) from Heflin, Alabama. 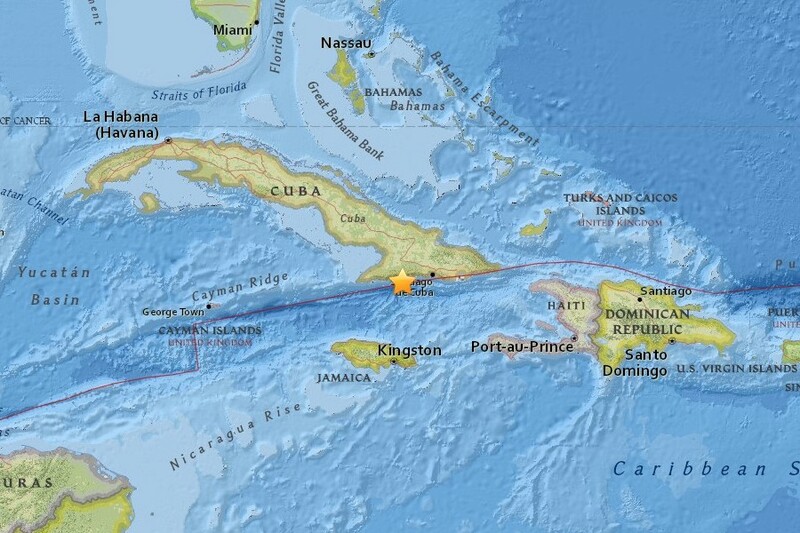 The quake had a focal depth of 0.7 mi (1.1 km). 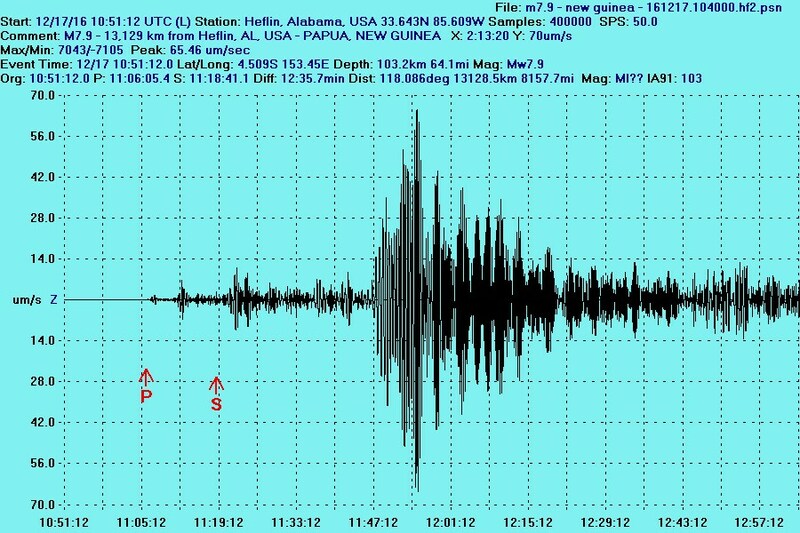 26 seconds after the quake occurred, and slower S-type body waves were seen at +45 seconds following the quake. epicentral area, though a tsunami warning was briefly issued for the region. dominantly related to subduction tectonics, and moderate-large earthquakes are common in the region. maximum vertical ground displacement of 696 micrometers (um) seen at the EarthAlabama seismic station. depth of 11.0 km (6.8 mi). There were no immediate reports of major damages or injuries in the epicentral area. that represents the boundaries of the Cayman Trench. 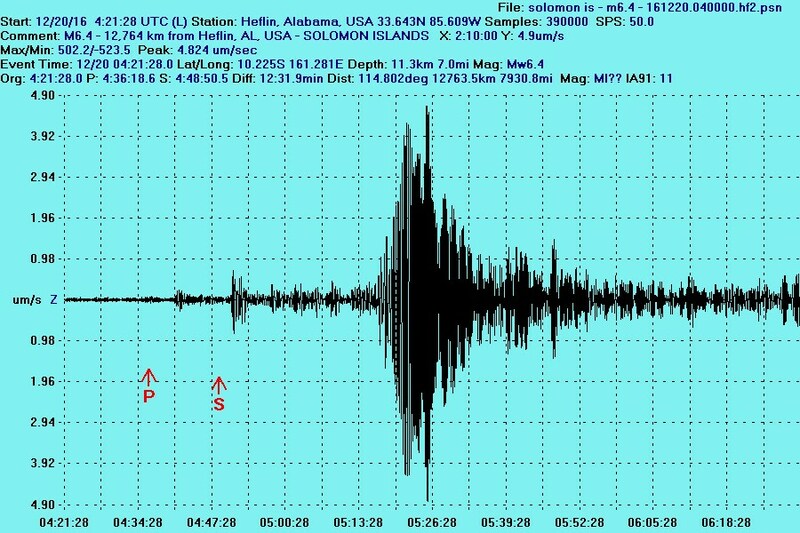 At Heflin, the initial seismic P-type body waves from the M5.4 event arrived approximately 4 minutes following the quake. displacement of approximately 31 micrometers (um) measured at the EarthAlabama seismic station. 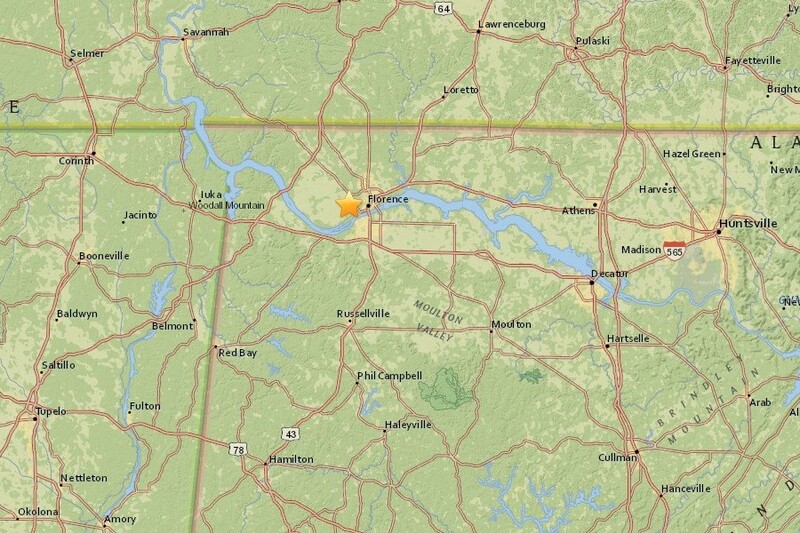 with epicenter approximately 146 mi (235 km) from Heflin, Alabama. 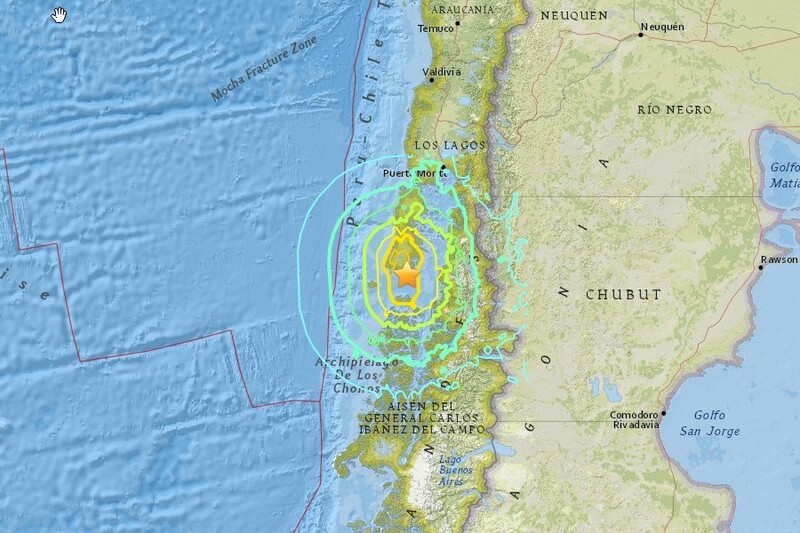 The quake had a focal depth of 4.1 mi (6.6 km). with many ancient faults that developed as the Appalachian Mountains formed several hundred million years ago. 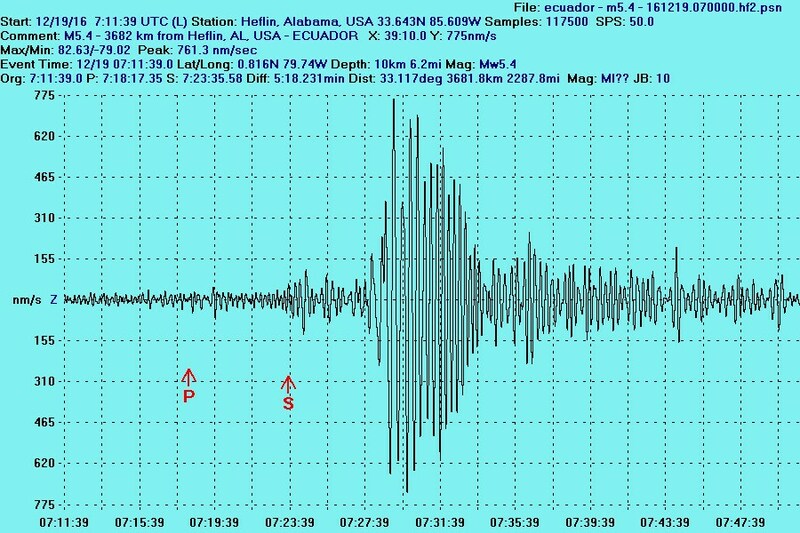 event were seen at the Heflin seismic station. damages or injuries in the region. 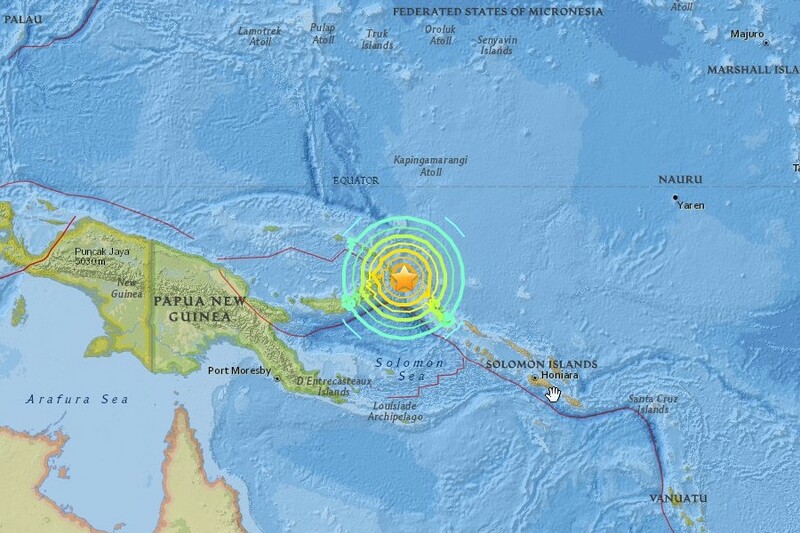 A tsunami alert was issued for the immediate region, but was lifted a short time later. along the Kermadec trench, to as much as 150 to 240 mm/year along the Tonga trench. 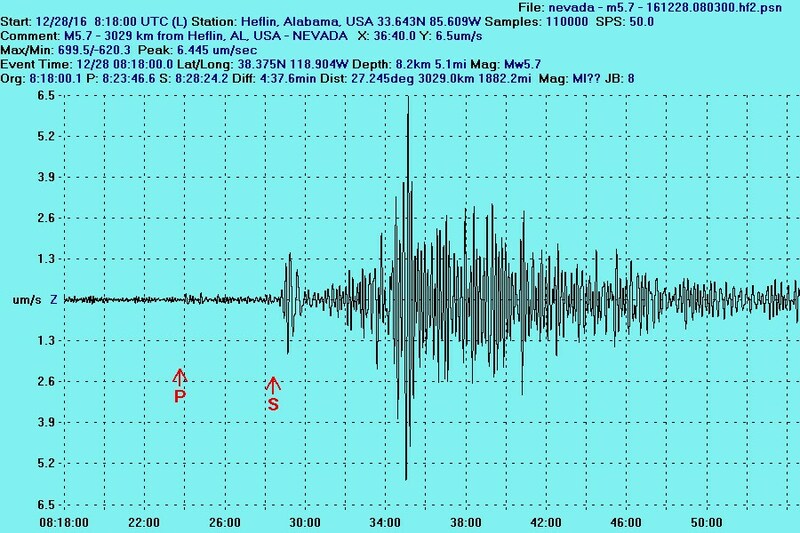 At Heflin, the initial seismic P-type body waves from the M6.9 event arrived approximately 10 minutes following the quake. measured at the EarthAlabama seismic station. Hawthorne, Nevada in the western part of the state, at a location approximately 3029 km (1882 mi) from Heflin, Alabama, USA. 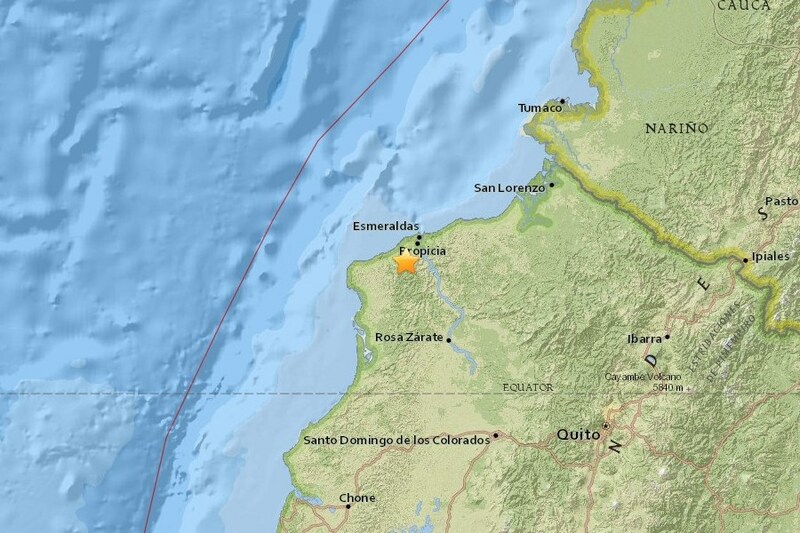 The quake occurred at a focal depth of 8.2 km (5.1 mi). There were no immediate reports of major damages or injuries in the area. compression seen in the area is associated with the San Andreas Fault activity in California to the west. maximum vertical ground displacement of approximately 15 micrometers (um) measured at the EarthAlabama seismic station. the event was lifted a short time later. extending over 7,000 km from offshore southern Chile to a location offshore the southern coast of Panama in Central America. and for a high level of seismicity and frequent earthquakes in the region along this boundary. a maximum vertical ground displacement of approximately 215 micrometers (um) measured at the EarthAlabama seismic station. of 103 km (64 mi). 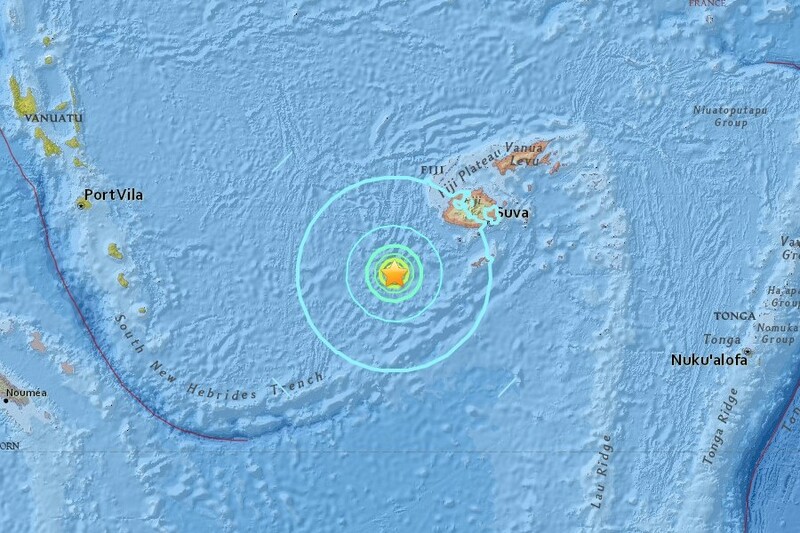 There were no immediate reports of damages or injuries in the epicentral area, though a tsunami warning was issued for the region. towards the east-northeast. Seismicity along the trench is dominantly related to subduction tectonics and large earthquakes are common in the region. at the EarthAlabama seismic station. immediate reports of injuries in the region, though some electrical power outages were reported in the epicentral area. activity, crustal deformation, and earthquake occurrence all along the western edge of South America. micrometers (um) measured at the EarthAlabama seismic station. focal depth of 11.3 km (7.0 mi). 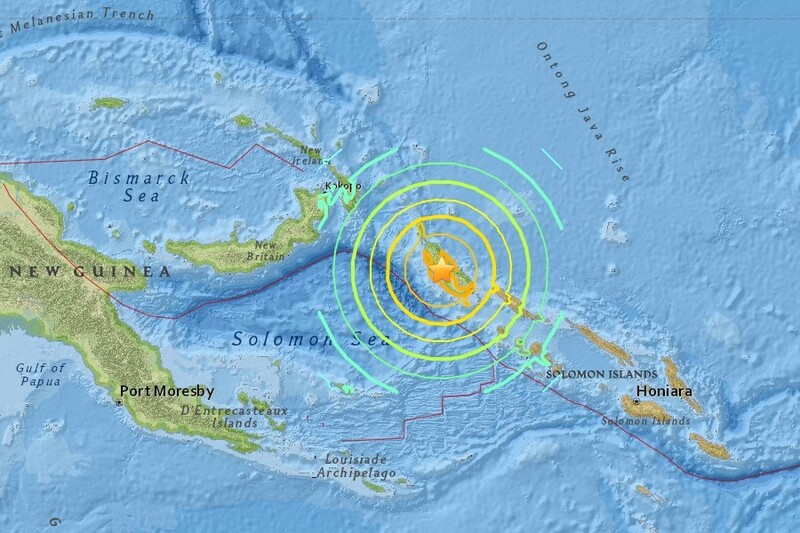 There were no immediate reports of injuries in the region, and no tsunami warning was issued from the event. interactions between the plates, with most arising from subduction of the Pacific plate at various angles beneath the Australia plate. 150-240 millimeters per year in the north. 15 micrometers (um) measured at the EarthAlabama seismic station.